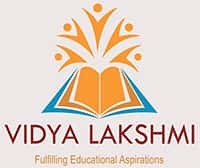 www.vidyalakshmi.co.in Vidya Lakshmi Portal is a first of its kind portal for students seeking Education Loan. This portal has been developed under the guidance of Department of Financial Services, (Ministry of Finance) , Department of Higher Education (Ministry of Human Resource Development) and Indian Banksâ€™ Association (IBA).The portal has been developed and being maintained by NSDL e-Governance Infrastructure Limited (hyperlink to the information of NSDL e-Gov). Students can view, apply and track the education loan applications to banks anytime, anywhere by accessing the portal. The portal also provides linkages to National Scholarship Portal. About NSDL e-Gov: NSDL e-Governance Infrastructure Limited (NSDL e-Gov) was originally setup as a Depository in 1995 and has over the years used its inherent strengths, project management capabilities & technology expertise to deliver state of the art e-Governance solutions which has helped Governments to identify and clear bottlenecks, promote transparency, reduce service delivery costs and deliver public services efficiently. The solutions have efficiently made use of information and communication technologies as a tool for delivering public services and benefits to society at large. 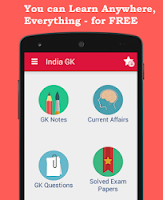 GK MCQs: Question Asked in IBPS RRBs CWE-IV Paper held in September 2015.
www.vidyalakshmi.co.in web portal is is associated with ?